Beachfront living at its best, this stunning waterfront property offers panoramic views of the Atlantic Ocean and one-of-a-kind views of Sesachacha Pond and Sankaty Lighthouse. Nestled in the heart of Quidnet Village, this property is just a stones throw from the wide expanse of Quidnet Beach with a path to the beach accessible from the back yard. Designed by Botticelli & Pohl, the three-levels of living space boast soaring ceilings, clean lines and beautiful woodwork throughout. 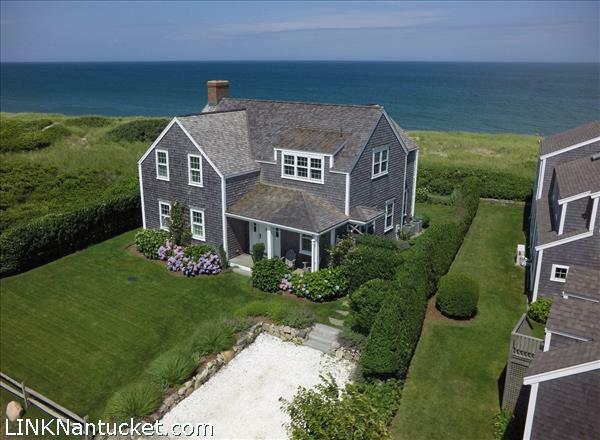 A spacious and well-manicured yard, as well as super-convenient beach and pond access, make this the perfect Nantucket summer home. Please send me more available listings similar to 100 Quidnet Road, Quidnet. Thank you!